Offer price includes: assembled unit stand, table top, instructions and manufacturers accessories. 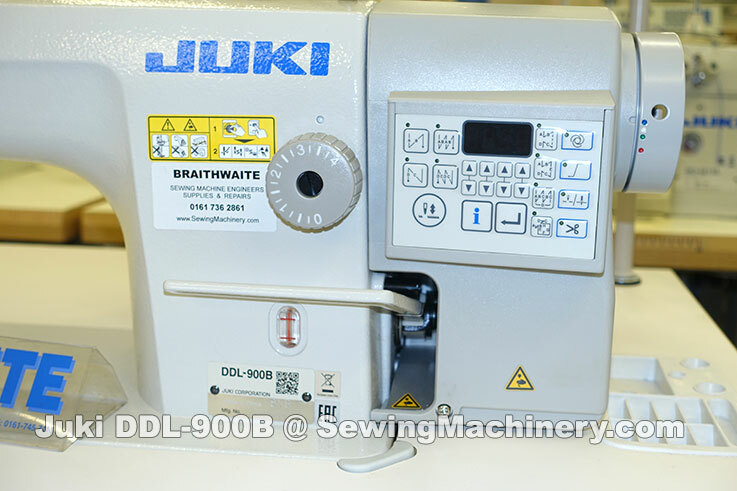 Juki's new DDL-900B utilizes the design of the DDL-900A series + older DDL-8700 series and updates them with improvements including a new Oil Shielding System. The Oil Shielding System helps to reduce oil staining with the needle bar frame being lubricated with less oil and a new oil recovery device shielding splashes. Oil supply is contained with-in a sealed aluminium sump. The adjustable range of oil supply to the hook has been expanded to enable fine adjustment and the underside cover now contains an oil amount indicator which helps prevent oiling errors. 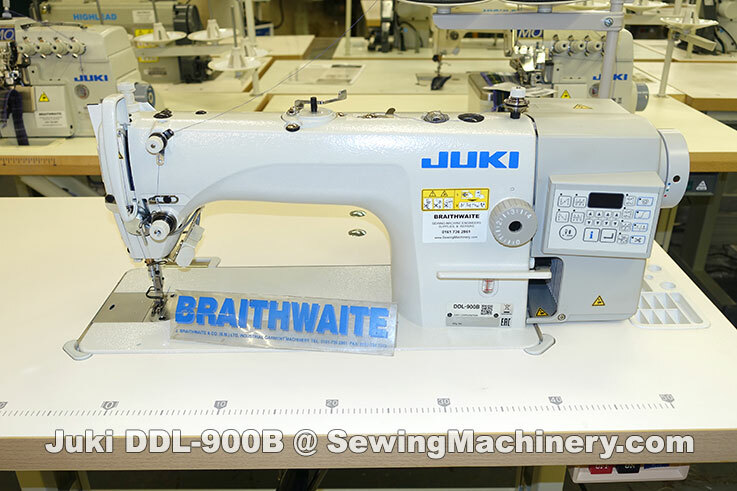 The sewing machine integrates a direct-drive motor, control box and control panel into a single package for easy assembly and reduced cost. An integrated LED needle light is supplied as standard equipment and optional equipment, available at extra cost, includes an electric auto foot lifting kit and a non lubricated hook assembly.